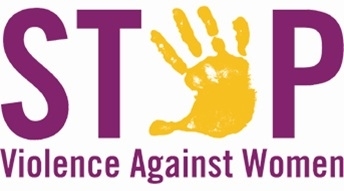 HASC urges you to join “Hindu Voices for VAWA: Standing United Against Domestic Violence & Sexual Abuse”, a campaign by Hindu American Seva Communities (HASC) to mobilize American Hindus to urge Congress to pass the Violence Against Women Act (VAWA). Our tradition worships the divine feminine aspects (God). Let us honor women and bring the dharmic social justice voice to the forefront. We urge you to sign the petition to support VAWA. The Violence Against Women Act (VAWA) is our nation’s most effective tool in addressing and preventing domestic violence, dating violence, sexual assault and stalking. With 1 in 4 women experiencing severe physical violence by an intimate partner and nearly 1 in 5 women being raped in her lifetime in the United States alone, the reauthorization of VAWA is needed now more than ever. Recently, the Senate passed a strong bipartisan and inclusive VAWA reauthorization bill. It’s now up to the House to pass an equally robust version of VAWA quickly. Background: Initially passed in 1994, VAWA was written to protect women against domestic violence, dating violence, sexual assault and stalking. VAWA provides the law enforcement officials efficient and effective support in responding to crimes such as these. VAWA brings awareness to the serious endemic of domestic and sexual abuse and promotes efforts to end such violence. VAWA programs are administered by the Departments of Justice and Health and Human Services and give law enforcement, prosecutors and judges the tools they need to hold offenders accountable and keep communities safe while supporting victims. In 2012 the 112th Congress stalled and did not vote to reauthorize VAWA for another five years the Senate version that gives extra provision to protect the immigrant, the lesbian, gay, bisexual and transgender (LGBT), and Native American communities. “Hindu Voices for VAWA: Standing United Against Domestic Violence & Sexual Abuse” is a project of Hindu American Seva Communities (HASC) (aka Hindu American Seva Charities), an independently registered not-for-profit organization. In 2012, HASC signed on to a national sign on letter in support of VAWA reauthorization. A bill to reauthorize VAWA (S.47) has been introduced by Senator Patrick Leahy (D-VT) and is set to be brought to the Senate floor for a vote as early as next week. The National Task Force to End Sexual and Domestic Violence (NTF) asks for your continued support once again by signing on to this letter, which will be circulated to the Senate later this week. For up to date information on VAWA, please visit: www.4vawa.org. Sign on to the letter in support of VAWA reauthorization here: http://tiny.cc/h1torw.